Read Colin's Speech in Parliament about Greensborough TAFE. Read the speech I gave about a changes to the Classification (Publications, Films and Computer Games) (Enforcement) Act 1995. MR BROOKS (Bundoora) — On 14 May I was privileged to attend an awards dinner to recognise the fantastic contribution of volunteers in the Banyule community. I commend the award winners and highlight the contributions of just a few of the nominees. Maria Welsh volunteers with Banksia..
Mr BROOKS (Bundoora) — Members would recall the shocking revelations of nearly two years ago that the then Liberal-Nationals government had plans to sell off 1000 aged-care beds across Melbourne. 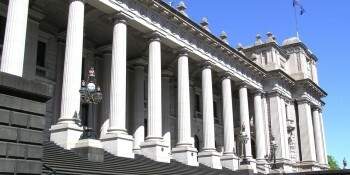 The Napthine government planned to rip a total of $75 million from public sector residential..